He was also indirectly responsible for the training of a whole generation of engineers in the craft of precision design and manufacturing. Bramah was born on April 13, 1748, in Stainborough, England. At age 16 he was injured and made lame in an accident while working on his father’s farm. After completing an apprenticeship to a carpenter, he relocated to London, opened his own business, and began to build mechanical instruments and tools. Among his first well ­known inventions was the flushable toilet, introduced in 1778. In 1784 Bramah patented the design for a safety lock, subsequently called the Bramah lock, which involved a hollow key with grooves of unequal lengths. The grooves pressed on corresponding blades within the lock. Bramah had taken advantage of his mastery of high­ precision engineering and his shop of high­quality machine tools to construct this superior lock. He advertised an award for whomever could pick the lock, but it was not until 1851, long after his death, that a mechanic was able to open the lock after 51 hours of trying. 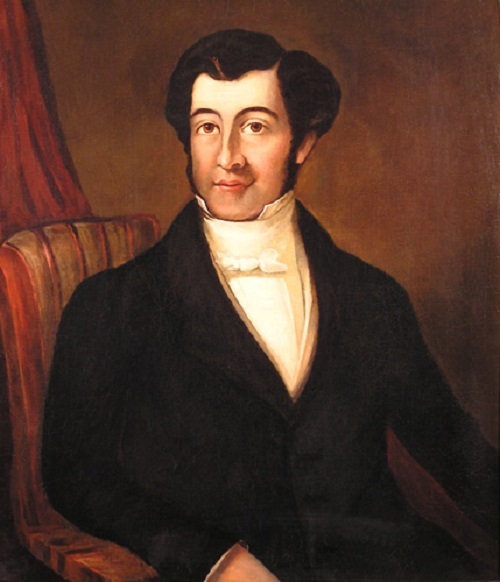 Bramah had hired an extremely talented assistant named Henry Maudslay; who was crucial to the successful production of both the Bramah lock and the next invention, the hydraulic press. Devised in 1795, this instrument was a practical application of PASCAL’s Law, which states that the pressure exerted on a confined liquid is constant in all directions. In Bramah’s hydraulic press, a small amount of force was applied to a confined amount of liquid, which in turn amplified the force by pressing on a larger surface. Bramah also invented a paper­ making machine, a device for numbering bank notes, and a pump for extracting beer from cellars. He died on December 9, 1814, in London, England. Bramah’s inventiveness and success at realizing his ideas in precise detail laid the foundations for the style of engineering that made the Industrial Revolution possible. He was responsible also for advances in hydraulics and lock design. Bramah’s assistant Maudslay, who constructed many of Bramah’s machine tools and used them to build the devices that Bramah patented and marketed, developed a reputation as a skilled mechanic. After working for Bramah, he set up business on his own and invented and manufactured an improved lathe with an extremely accurate lead screw. Joseph Clement, who later developed the first self­regulating lathe, was among Maudslay’s students; Clement himself became well respected and was hired by CHARLES BABBAGE, who designed a model of one of the earliest precursors of the computer. Many other inventors of the early nineteenth century were educated and inspired by Bramah and Maudslay to execute precise, accurate engineering practices. The use of hydraulics traces its origin to the development of Bramah’s press. The press was used immediately in the lifting of massive iron and steel parts for large construction projects. Robert Stephenson, son of steam ­locomotive pioneer GEORGE STEPHENSON, used the hydraulic press to position the enormous tubular spans of the Menai Straits bridge, erected in 1850, which carried the London to Holyhead railway and was of political and economic importance in England. Hydraulic technology has produced hydraulic jacks, mechanical excavators, and presses for consolidating and binding waste paper and metal. Automobile brakes embody perhaps the most far ­reaching impact of hydraulic systems. Hydraulic brakes, which ensure that the braking action occurs smoothly and operates evenly on all the wheels, made cars and other vehicles safer. The technology of locks also advanced by the end of the nineteenth century. The Yale lock was an improvement that allowed an infinite number of combinations, and timing systems were added to bank safes so that locks could be opened only at specific times.